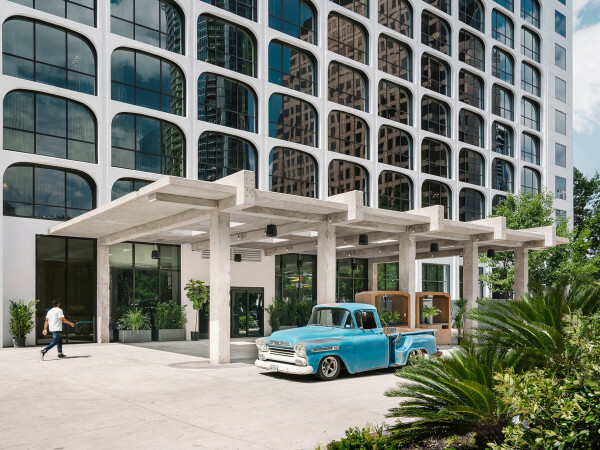 School’s out and summer is here — which means it’s the time of year when many of us hit the road for a summer getaway. 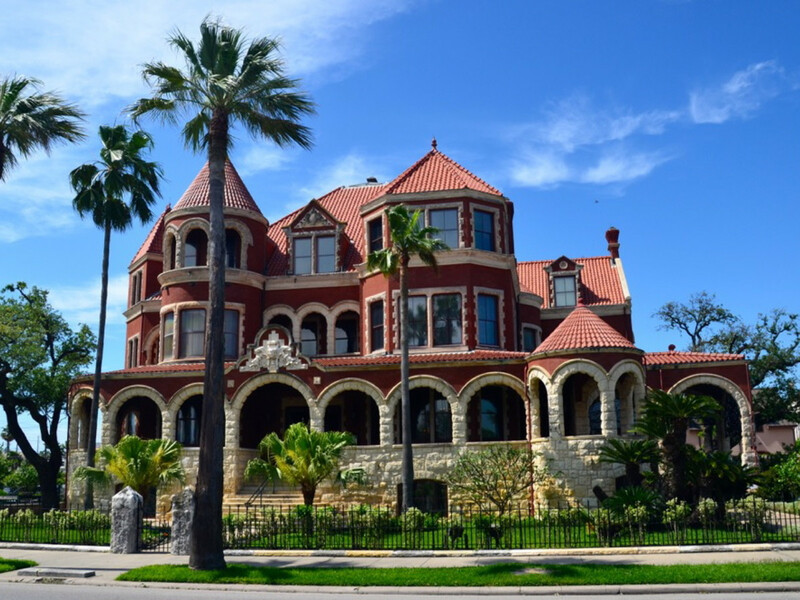 One of the most popular Texas road trip destinations, especially from Houston, is the historic and fun beach town of Galveston. 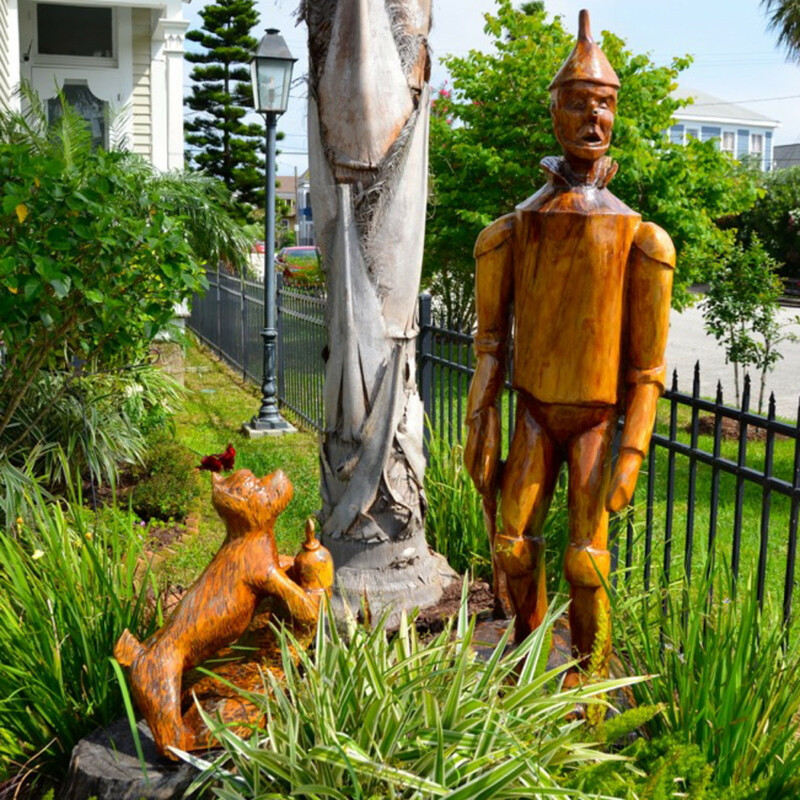 Part turn-of-the-century historic district and part classic coastal getaway, the island city has a lot to offer this summer, including plenty of new amenities and attractions to add to your itinerary. 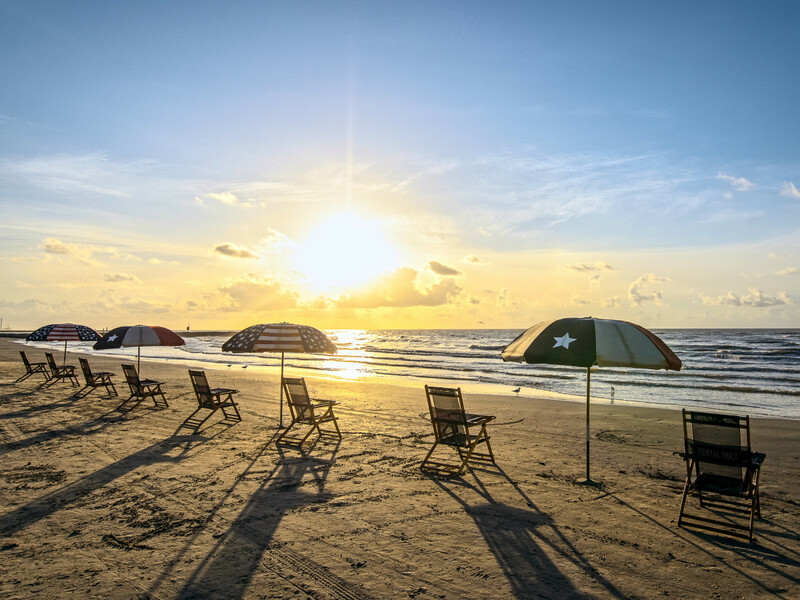 One of the best beach replenishment in the state has come to Galveston. Sand has been added to Seawall beaches between 61st and 81st streets, which also means more recreation space and a broader habitat for marine life. 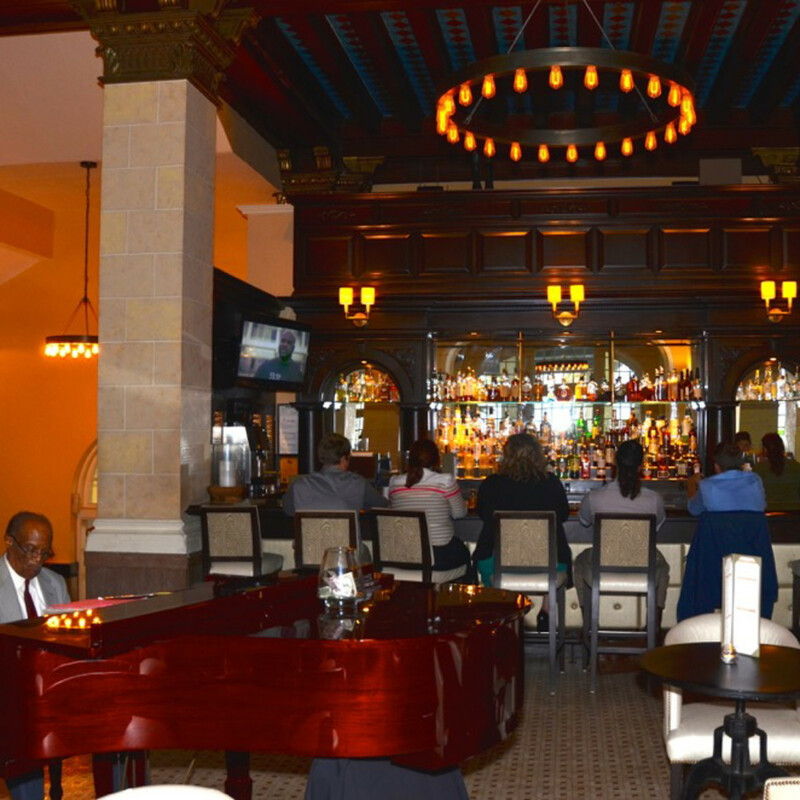 The island’s beach parks have also been upgraded with new amenities such as live concerts and free DJ entertainment at East Beach on weekends through September 5. 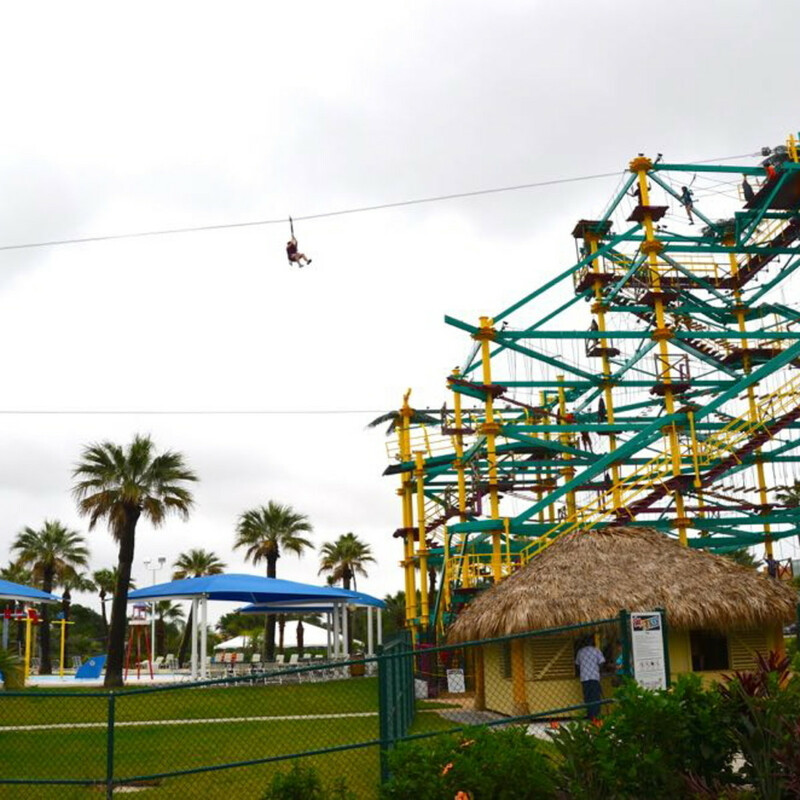 Later in June, East Beach will also receive new playground equipment featuring a web climber, swings and slides. 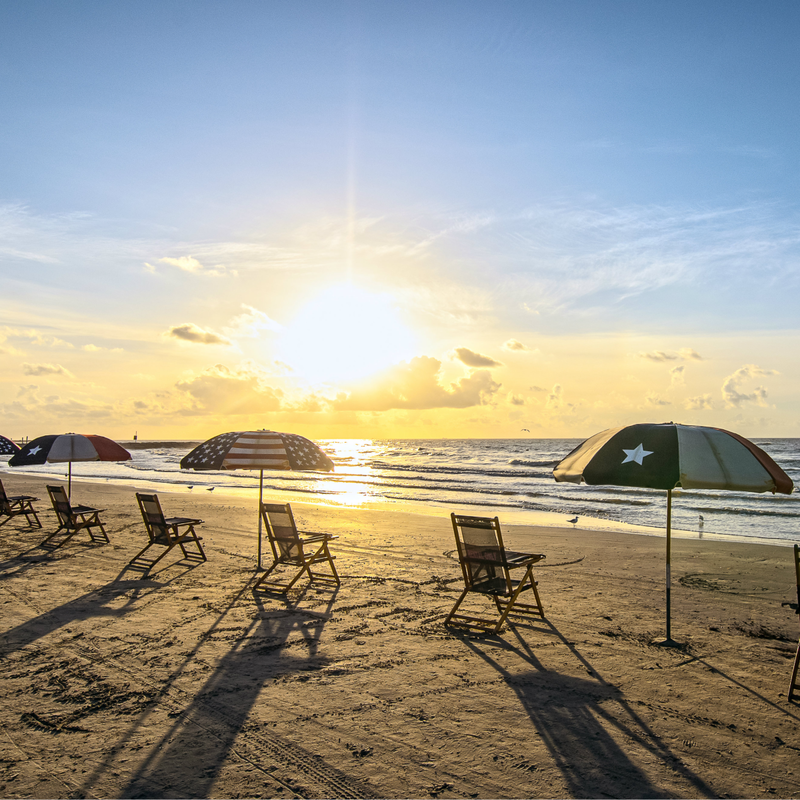 This expansive beach is located on the island’s eastern tip and is the only Galveston beach park where alcohol is permitted. 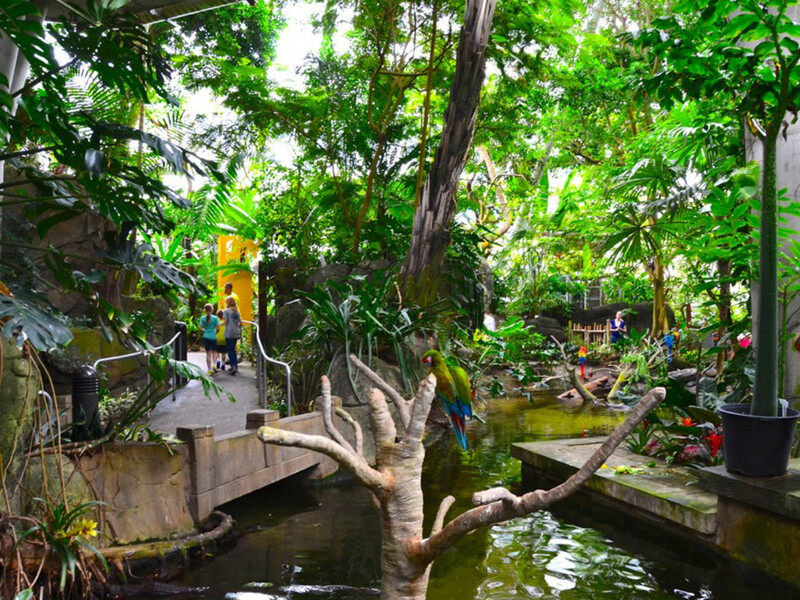 As one of the best family attractions on the island, Moody Gardens is always one of the most popular visits. This year its newest interactive attraction, SpongeBob SubPants Adventure, has premiered at Discovery Pyramid. 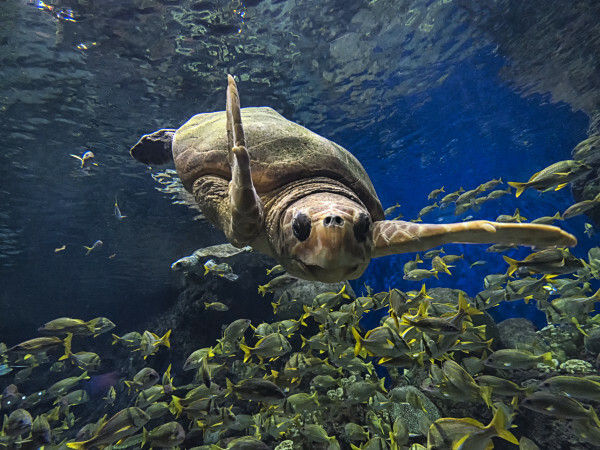 Featuring a live, costumed show with all the beloved SpongeBob characters, the attraction also has an “underwater” 4-D film experience. 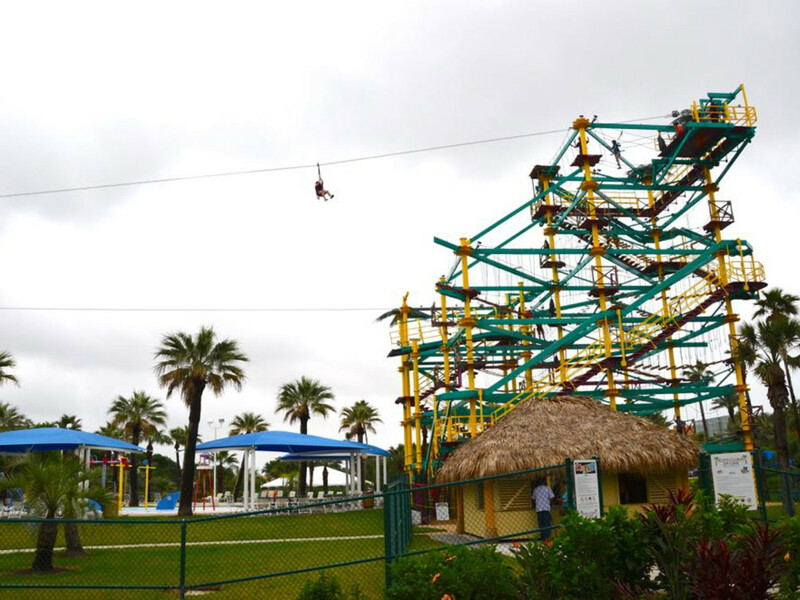 Also new to Moody Gardens is a five-tier Sky Trail Ropes Course and Zip Line Adventure to challenge participants’ agility, balance and strength. 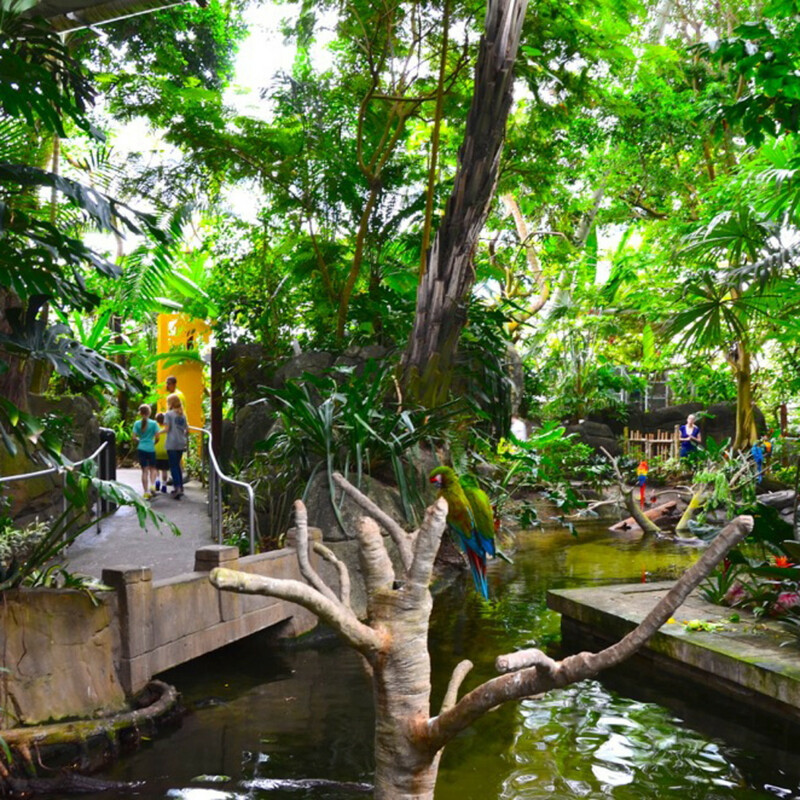 Of course, all of the other attractions spread over the 242-acre Moody Garden complex are also available, including the Rainforest Pyramid, 1.5-million-gallon Aquarium Pyramid, Discover Museum, water park and white sand beaches. For those interested in aviation, especially combat during World War II, stop in at the Lone Star Flight Museum next door. 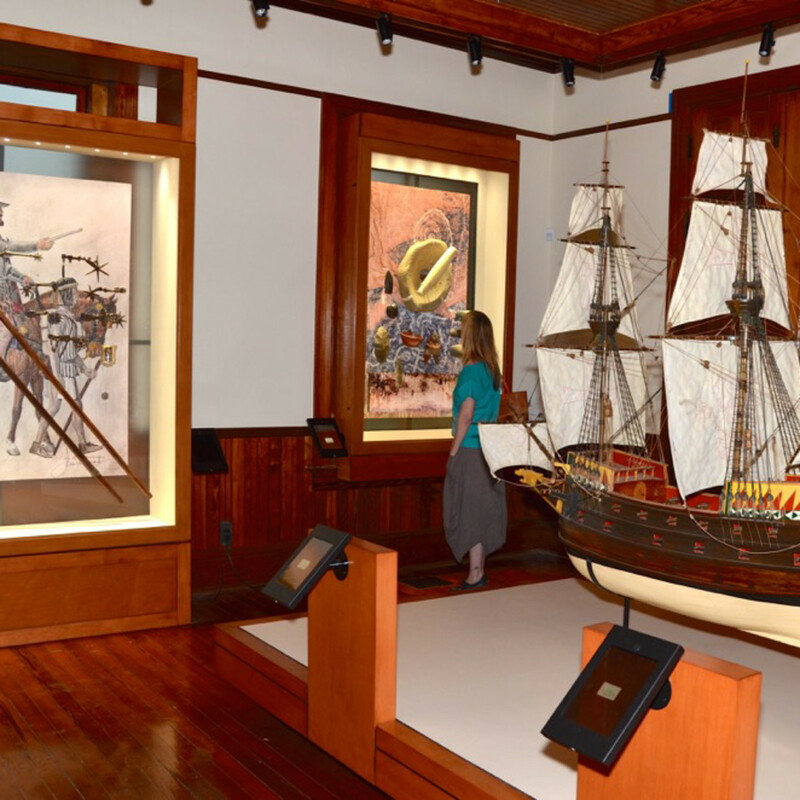 Be one of the first to visit this new museum, which showcases the world’s largest private collection of Southwestern historical artifacts, including 70,000 rare items spanning more than 400 years. J.P. Bryan, who co-founded the Bryan Museum with his wife, Mary Jon, started his collection at 14 years old. 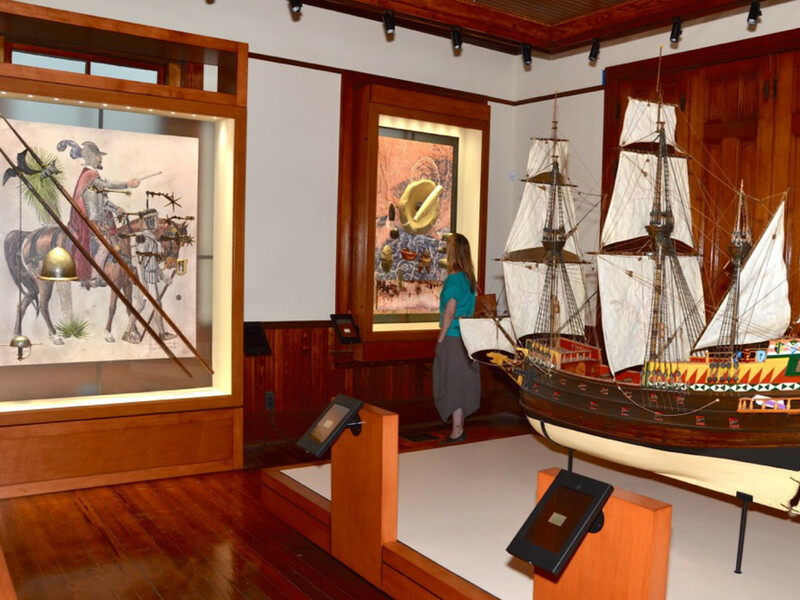 A direct descendant of Moses Austin (Stephen F. Austin’s father), the lifelong historian offers such items on display as the Joel Robison sword used to aid in the capture of Santa Anna, and original correspondence from the pirate Jean Lafitte. The basement features a very interactive children’s section that literally makes history come to life for visitors both young and young at heart. 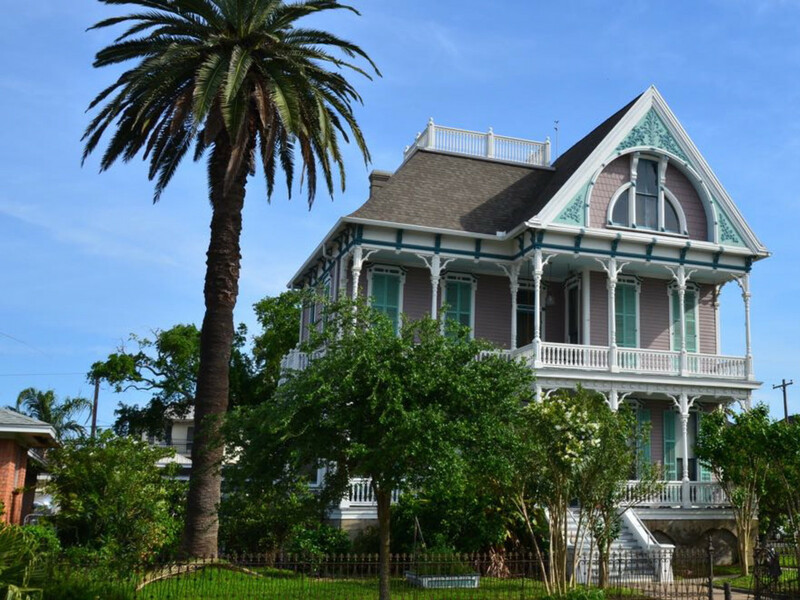 Touring the historic grand mansions and hearing the stories behind them reveals why Galveston is sometimes called Treasure Island. 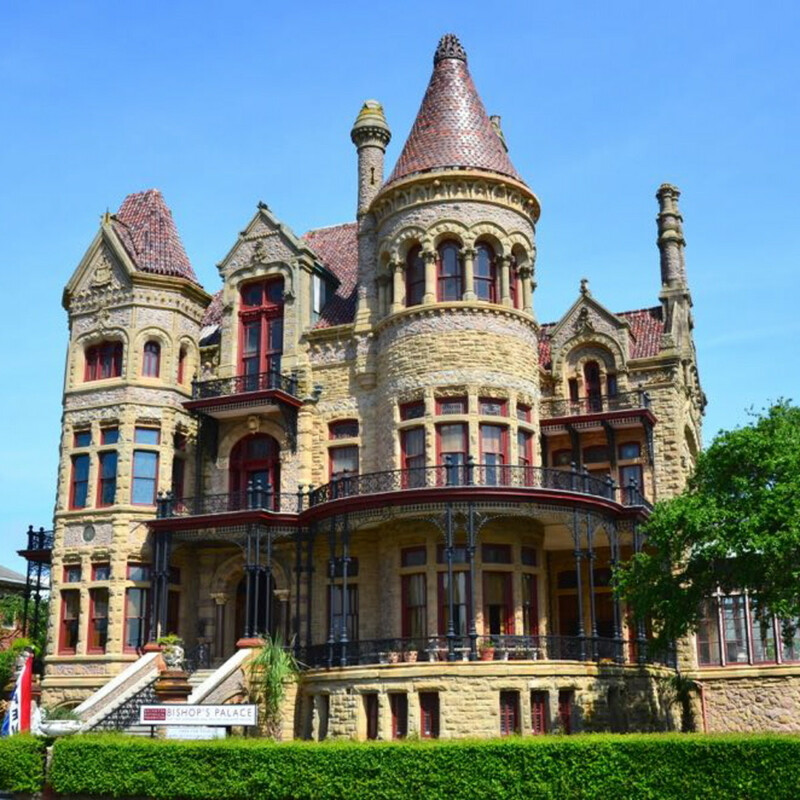 Check out Moody Mansion, a four-story, 28,000 square-foot home restored to its 1895 splendor. 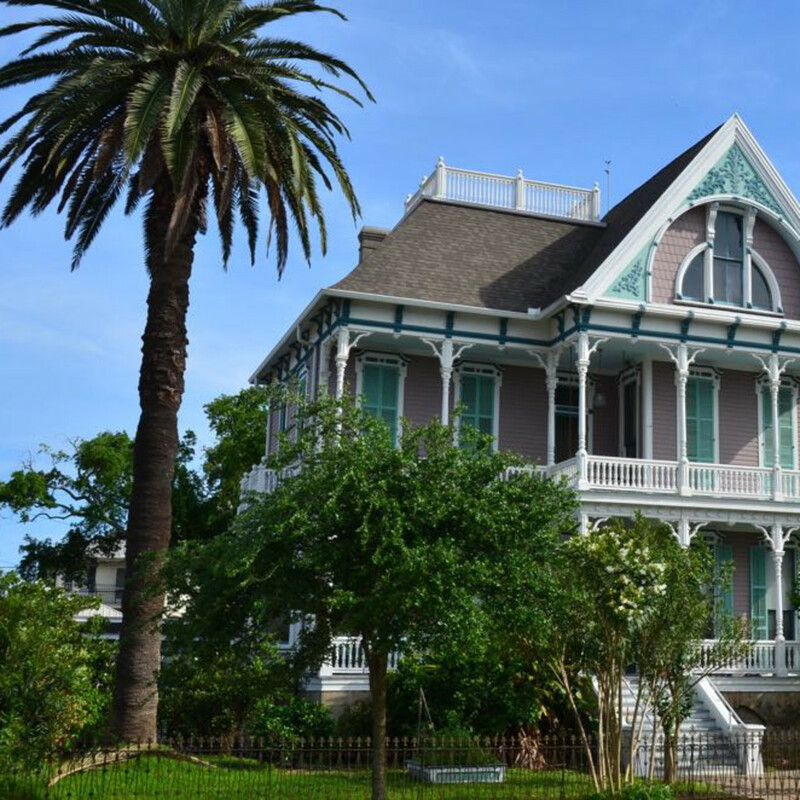 A tour of this home to one of Galveston’s most influential families depicts life of wealth at the turn of the century. 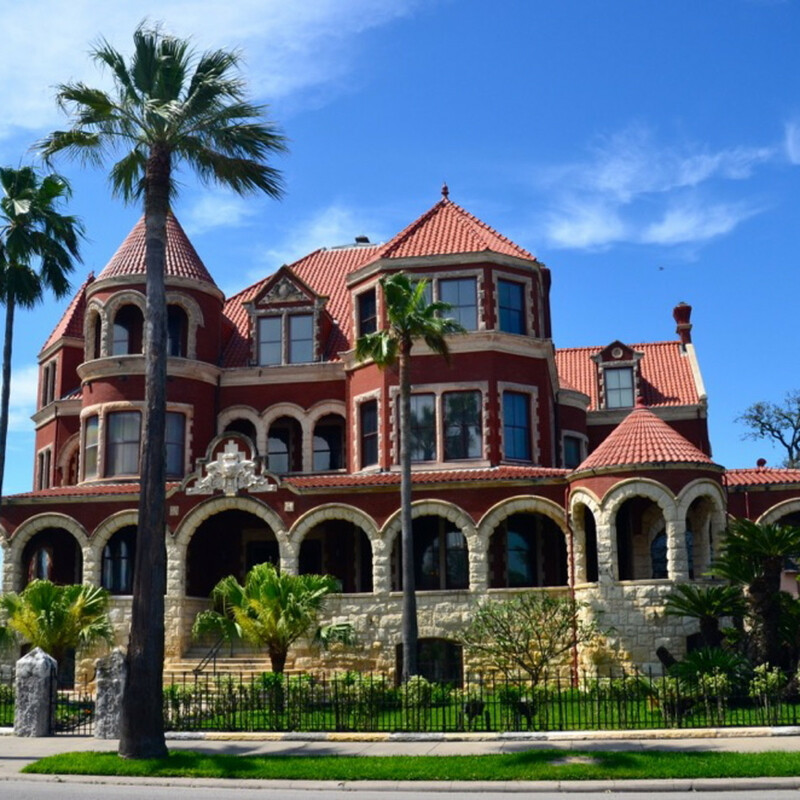 The 1892 Bishop’s Palace is another of Galveston’s most popular historic mansions and is open for tours daily. 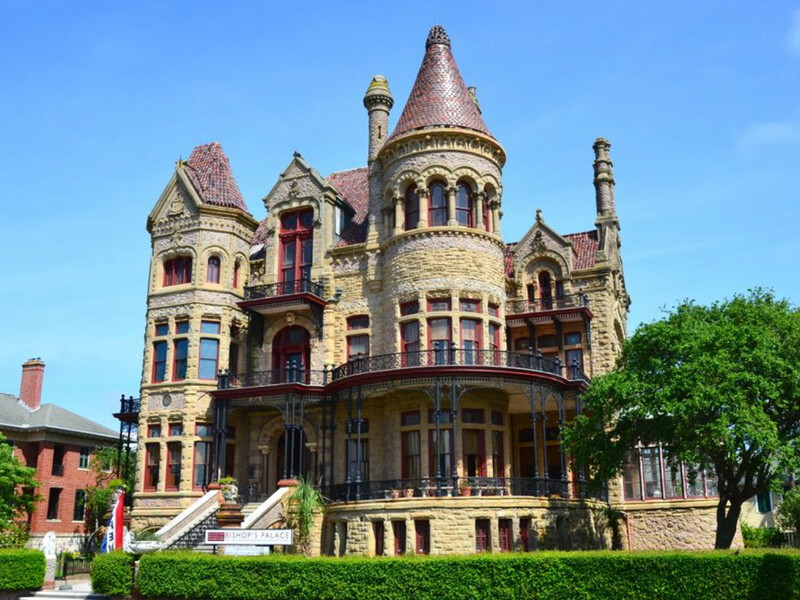 Built of stone and steel for the railroad magnate Walter Gresham and his family, this famous house was designed by Nicholas Clayton, Galveston’s premier Victorian-era architect. 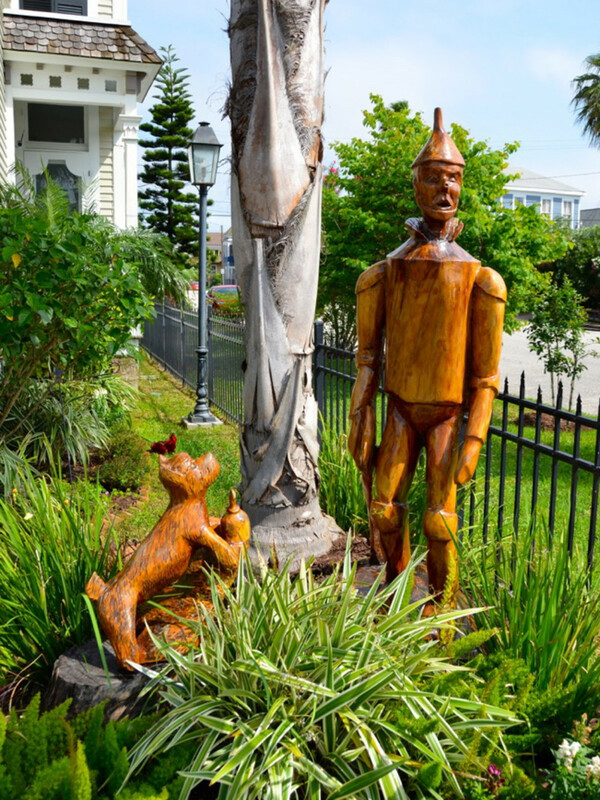 Afterwards, hop on an electric shuttle from Galveston Island Tours to check out the entire landmark district, including the unique tree sculptures that dot the island and were artistically carved from trees that were killed in Hurricane Ike. 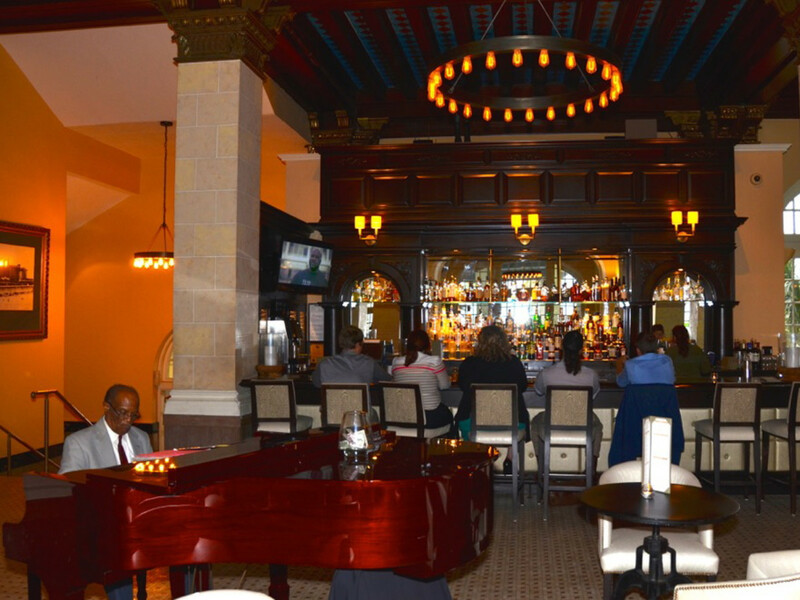 Galveston’s hotel scene is offering several new venues and experiences this summer, including the new Doubletree by Hilton Galveston Beach Hotel that opened in February, and the five new luxury villas opening at The San Luis Resort, complete with private check-in/out, a private pool area and personal butler service among other lavish amenities. 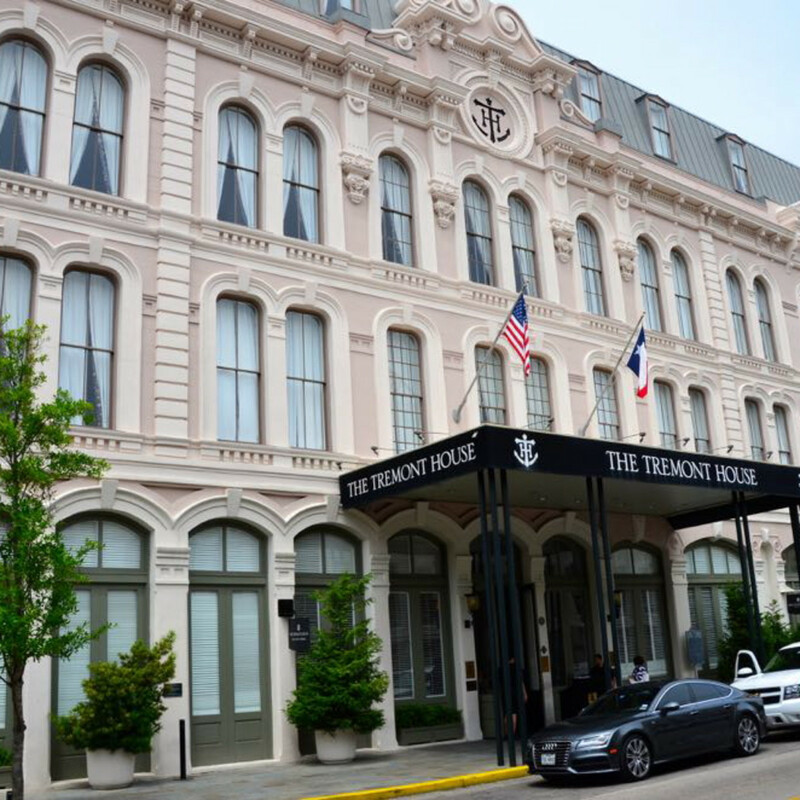 Classic hotels that are always popular include The Tremont House, boasting a location right in the heart of the Historic Strand District; and the Hotel Galvez & Spa, facing beachside. 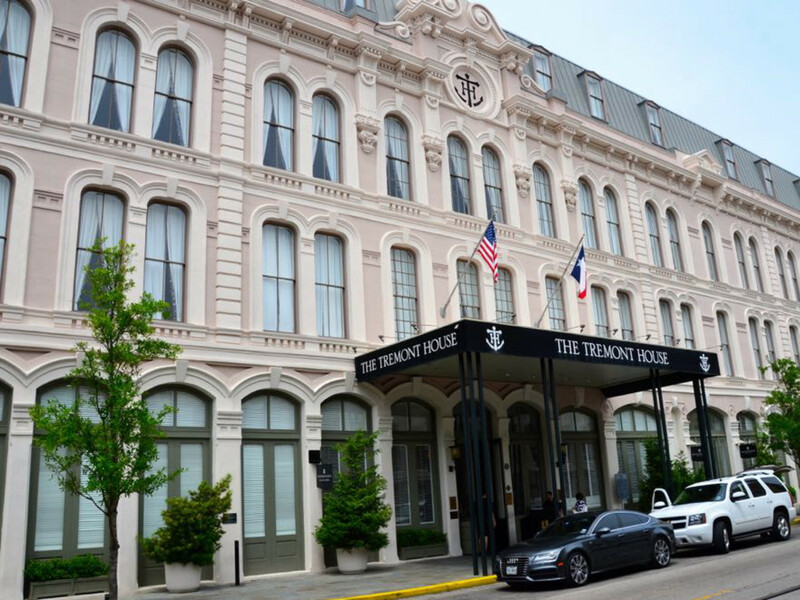 Both are part of the Wyndham Grand Hotels & Resorts family and are part of Galveston’s history, dating from 1839 and 1911 respectively.